The month of September gives music lovers a run for their money. Well, maybe not a run for their money but definitely something to spend it on. With the iHeartRadio Musical Festival and Music Midtown Festival this past weekend (September 19th) and TomorrowWorld coming up this weekend (September 26th), it creates a dilemma for music festival participants. Which one is worth the money? While iHeartRadio Festival may have had over 10 headlining performances packed into two days, 100,000 people chose to attend Music Midtown in Atlanta, Georgia. Granted Music Midtown is at least $500 cheaper. While Bonaroo and iHeartRadio have created a brand for themselves due to being around for many years, Music Midtown is just beginning to make its mark. According to “The Value of a Twitter Follower” presented by @TwitterSmallBiz, 72% of followers are more likely to make a future purchase. Music Midtown has a strong presence on social media, before and continuing after the festival. The countdown began on Twitter seventy days before the event up until the day of. The countdown featured pictures of the festival in past years and of the venue. 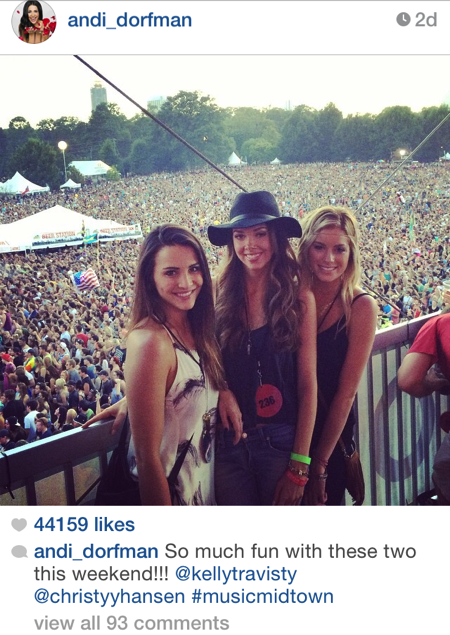 The attendees of Music Midtown were also engaging with the festival on social media. 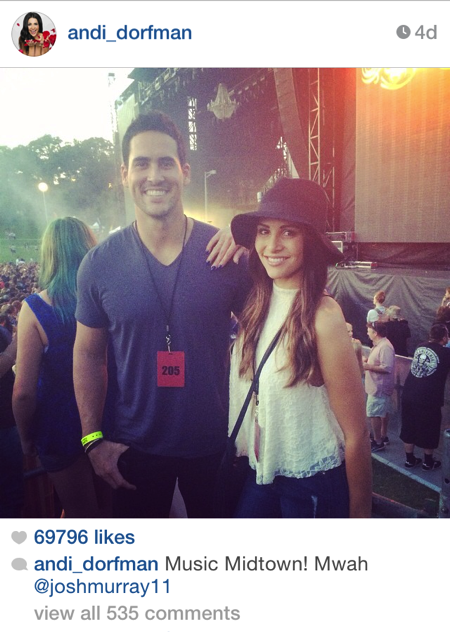 The most recent “Bachelorette” Andi Dorfman and her fiance/winner from the show posted multiple Instagram pictures throughout the weekend of their experience at Music Midtown. Engagement from both consumers and organizations is crucial in today’s marketplace. Companies receive feedback from consumers on social media and consumers are informed about companies they are invested in. Since Music Midtown was able to utilize social media to increase the engagement with their attendees before, during, and after the show, this may have contributed to their overwhelming ticket sales. The musical festival theme continues! This is a neat thread actually to see how potentially similar and different each festival brand is and how they either do or fail to promote it, etc. successfully. Is a genre emerging? Are there common elements unique to music festivals? Of particular note in this post is something I think merits some discussion. If I’m reading right, there were about 100,000 attendees yet the call to tweet about who attendees were most looking forward to yielded only about 100 tweets and about one retweet per. That to me would seem unsuccessful just by the sheer numbers. If that was one of the better “hits” then the top down tweeting would not seem very successful. They only bot about .01 percent of the people to respond. The larger question is what might this tell us? Does this speak to the lateral power of social media and how fragile it is when we try and use it vertically? Does it speak to a growing resistance even among fans of festivals to be spoken to by a company. In related news, there seems to be growing resistance to “friend” companies on Facebook. When every company is asking, it’s not so special. This is what makes studying human behavior–even as a practitioner–so engaging. On the one hand our human nature may change slowly if at all, but our behaviors and culture can change constantly. When talking about Music Midtown and the social media aspect of it.. did you research that they also had an app, a hashtag to get into parties, as well as sponsorship social media that made this music festival that much more successful? I personally followed all of the social media accounts and I think that all festivals have all of these components so I don’t know if I would necessarily agree that this is the only festival with the big social media bang. I would agree that the month of September is hectic in the music festival world as well as Music Midtown being one of the cheaper options. Thank you for your comments! While Music Midtown may not be the most successful example of companies using social media, I would say that it is growing compared to previous years. As Morganne mentioned, there was an app and a hashtag attendees could use in order to gain access to things they otherwise would not be able to. Music festivals in general are utilizing social media in a large way. Most of the major music festivals use it as a way to reach their target audiences, and I think it will only continue to grow. 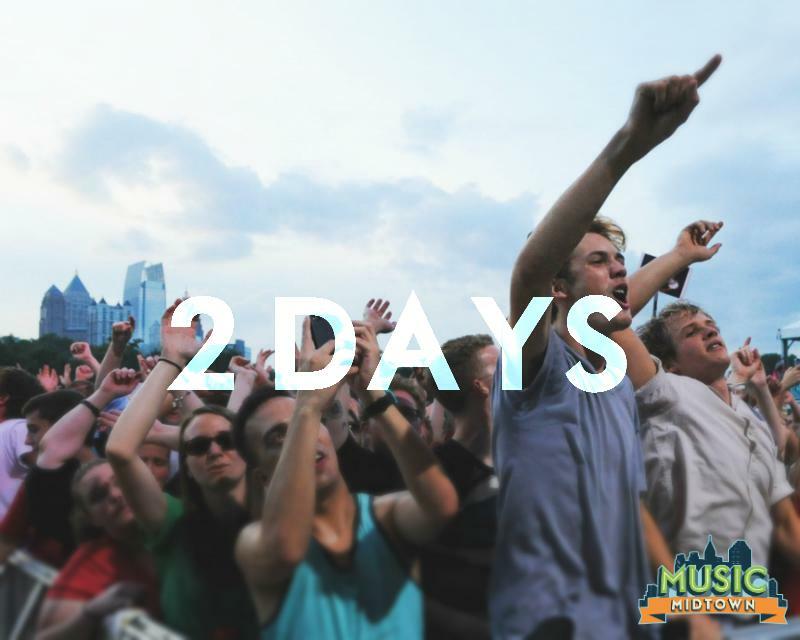 Although Music Midtown may not seem extremely successful on social media, it is important to note that they are considered one of the “up-and-coming” music festivals. As you noted in the original post, Music Midtown is much cheaper than iHeartRadio and other festival options but they are gaining more of a following and I foresee them becoming more expensive as their fan base continues to grow. Celebrities posting photos at the festival helps them to gain attention, as does the festival themselves posting tweets. By attempting to have a strong social media presence, Music Midtown is following along with what has become an industry standard amongst music festivals and shows that they are making an effort to gain status in a competitive field. I feel that Music Midtown is using social media effectively and as they continue to grow as a festival, their responses to social media will grow as well. Until then, they’ll have to celebrate the 100 retweets they did get and the additional potential customers exposed to the festival because of it. My love of music loves the rising trend of music festivals across the country! This makes me wonder how greatly that has affected the popularity of the Music Midtown festival. “That” being the trend of music festivals. How greatly do you think the constant publicity from celebrities has affected the rise in interest for music festivals. I avidly followed streams from Coachella, which is known for it’s esteemed performers and audience members. Social media has really contributed to the rising trend, but the trend has now caught on and I’m interested to know how much that has contributed to the success of all other music festivals. Thank you for your comments! As you both mentioned, since Music Midtown is a up-and-coming festival, it will be interesting to watch their social media presence grow. Although 100 retweets may not seem like much, when they are competing with bigger festivals like Coachella, and they are still relatively new, that number is still considered a success. I have always wanted to go to a festival of this magnitude but have never had the money to do so. I see that this one is cheaper than the other big ones out there so I might check it out. I will definitely have to go before it gets big because just like the other festivals, it will become more expensive. This is a great article about a little known festival that is up and coming. Thank you for your comment! If you do end up going to Music Midtown, will you engage with them on social media before and/or during your time there?